Happy September! September to me means fall and apple orchards. Unfortunately, I cannot find a good apple orchard donut like they have in Michigan, and I don’t get a fall in Florida. It is just hot and rainy. 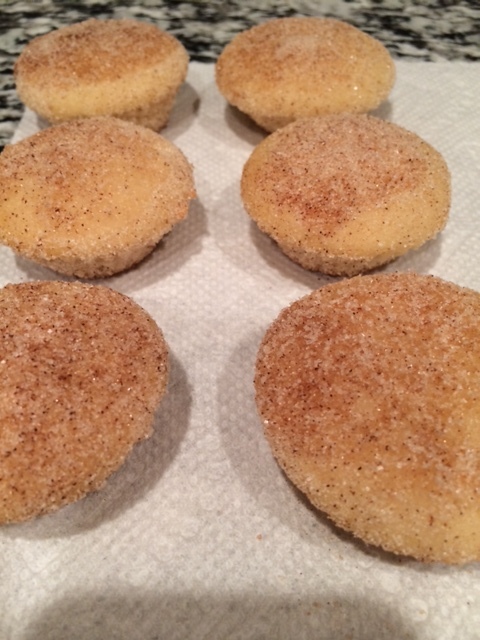 With September in mind, I thought these mini donut muffins would be the perfect thing. Recipe below! Grease mini muffin tin (cavities and the top). Set aside. Add spices and vanilla, whisk well. Bake for 15 to 17 minutes, or until toothpick inserted in the center of each muffin comes out clean. Cool in pan for 2 minutes, transfer onto a wire rack. 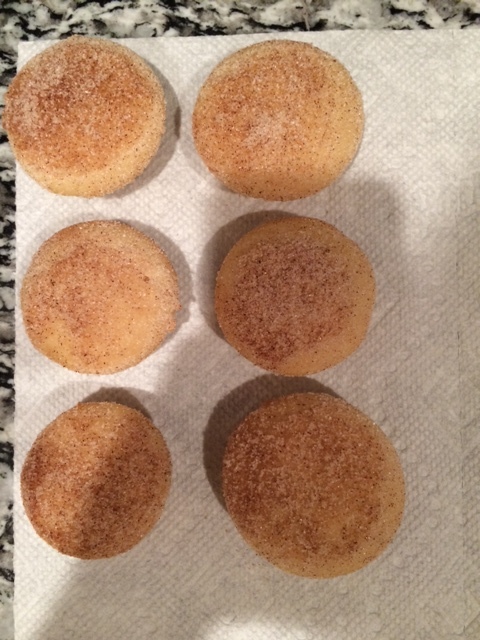 When muffins are completely cool, dunk each one in melted butter and then roll in cinnamon sugar. Return onto wire rack and let cool for few minutes. I didn’t have a mini muffin pan, so I used mini muffin wrappers and fill those and put them on a baking sheet. For the most part they stayed true to form. Some of them got a little crazy, but it could be that I filled that one too high. I also don’t have a wire rack, paper towels work just as well for cooling (as you can see in the picture). They are good, no doubt. A little too much nutmeg for my taste, but they are still delicious. You can’t just eat one either. You will want seconds. They are good for breakfast, a snack, or dessert.